Wow! Kauai is a really fun and beautiful place. 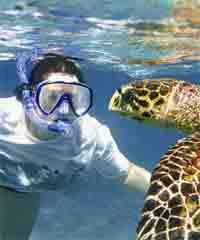 If you are visiting here you will want to enjoy some Kauai Activities and Kauai Tours. But which ones to do? Keep in mind that Kauai is very, very different than any of the other Hawaiian Islands and its probably a good idea to enjoy some activities here in ways that are not possible elsewhere. Here's a 'heads up'. This was the very first Hawaiian Island that offered Helicopter Flights. That wasn't an accident. Secondly, this is the only Hawaiian Island that truly has a network of inland, navigable rivers. Thirdly, this is the only place in the world that has the 'NaPali Coast', which vies in contention for being the most beautiful coastline on the planet. 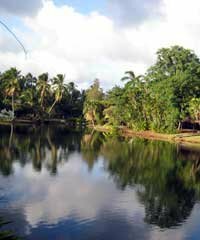 The list of Kauai Activities and Kauai Tours goes on and on. We are going to make it easy for you here to see all your tour options by listing, in alphabetical order, all the different categories of activities available to you on Kauai. You've chosen an amazing island to visit. Have a great time! 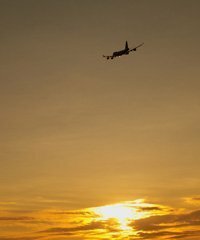 When we refer to Air Tours here we are referring to 'fixed-wing sightseeing airplane tours' rather than helicopters tours which we also offer on this list below. These tours will take you deep into the 'back country' where you would not be permitted to visit on your own. Coast down the Waimea Canyon all the way to the sea. 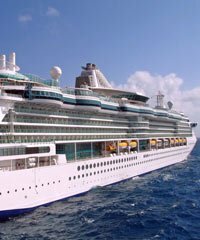 Cruise ships often stop overnight to visit Kauai. 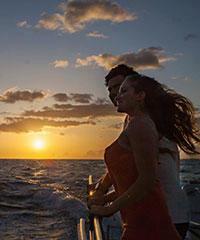 You will find so many 'shore excursions' and activities here that are available to you. This is a real treat. 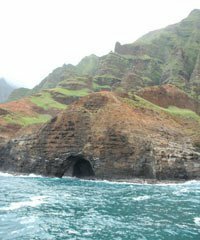 Most of these dinner cruise boats will take you to the amazing 'NaPali Coast'. These guys are quite fun. They like to race your boat at the bow and you'll get fantastic photos. Kauai is 'the place' for sightseeing excursions. The Waimea Canyon, Hanalei Town, Sleeping Giant, Spouting Horn, much more. 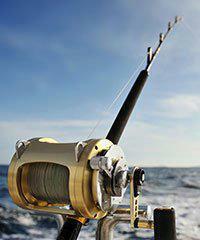 We catch a lot of fish on Kauai, from multiple harbors. So many golf courses. So many beautiful views. Depending upon your disability, we have so many options for you to enjoy activities. Now were talking! Hands down, this is the best way to view Kauai. Many spots are not view able except from the air. 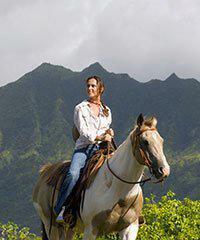 Take a horseback ride to a waterfall, a ride next to the beach or ride on the North Shore ranch lands. Take a 1-day flight to see Pearl Harbor, the Polynesian Cultural Center or the Big Island Volcanoes. You can kayak deep into the forest along a river or choose to do some ocean kayaking. There are many children's activities and tours available on Kauai. Two of the best luaus in Hawaii are found on Kauai. The NaPali Coast is the 'crown jewel' of Kauai. You will be able to see it by boat, plane, helicopter, kayak, raft, hike or dinner cruise. The 'Forbidden Island' of Niihau is located 18 miles off the coast of Kauai and is a great place for snorkeling and diving. Take a 1-day flight from Kauai to Pearl Harbor and return the same day. We can customize a private tour for you and your family and friends or for a group as large as a big corporate event. You will want to have a rental car on Kauai. It is the most convenient way to get around. 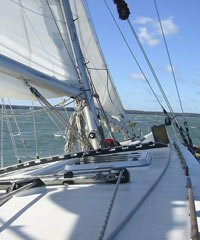 Take advantage of the wind on Kauai and go on a sail. 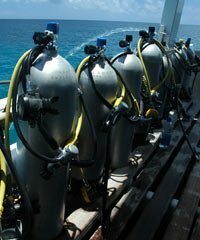 There are some amazing dives off the Coast of Kauai and Niihau as well. 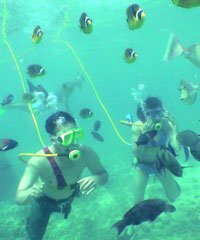 Snorkeling is the most popular activity on Kauai. Kauai is amazingly beautiful from on the island but it is ridiculously beautiful off the coast from the vantage point of a sunset sail. 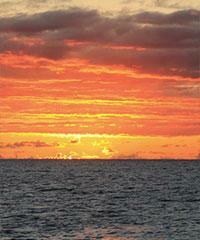 Check out these unusual tours that are available on Kauai. View all the water sports that Kauai has to offer. Kauai is a beautiful place to get married or have a vow renewal. This is a popular activity during the winter whale season. Kauai was the island that really exploded the popularity of the zipline industry in Hawaii. Do you still have questions about Kauai? How Kauai weather patterns effect Kauai Activities and Kauai Tours? 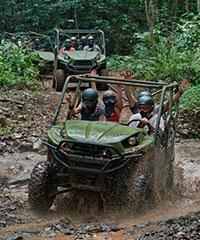 What are the 10 most popular categories of Kauai Activities and Kauai Tours on the island? 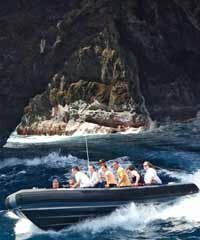 What makes Kauai Tours and Kauai Activities so Special? With regard to Kauai activities and Kauai tours, what is the best time of year to visit the island? We sell tickets to 216 items on Kauai. 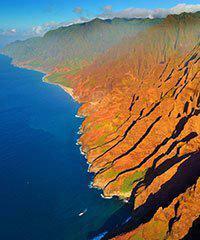 Air tours of Kauai by fixed-wing aircraft are perhaps the most economical way to see the island from above. These air tours are often half the cost of.. 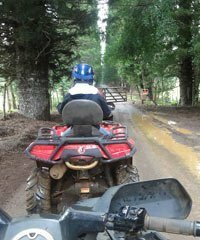 The island of Kauai provides a number of options for ATV rides which traverse some of the most beautiful scenery anywhere to be found. 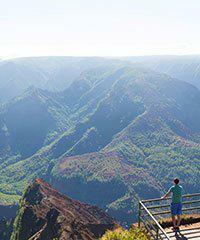 This Kauai activity..
Kauai Mountain Bikes Rides and Tours. 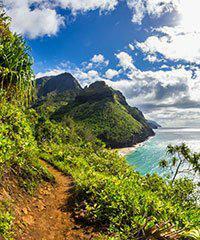 Kauai bike tours and bike rides are a wonderful way to spend the day outdoors. Whether your interest in Kauai biking.. Visiting Kauai via cruise ship can be a lot of fun but it can also be challenging to find island tours that are compatible with the arrival and departure..
Of all the evening activities available on Kauai perhaps the most romantic are the Kauai sunset cruises, Kauai sunset sails, the so called Kauai booze..
Four species of dolphins are regularly found in the waters around Kauai. 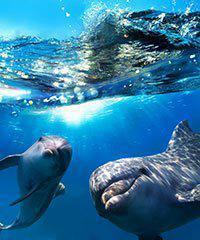 They are the Pacific bottlenose dolphin, the Rough-Toothed dolphin, the Spotted.. 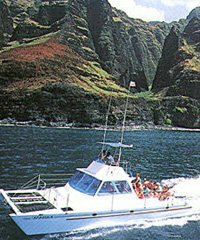 Interested in wanting to just take a sightseeing boat tour off the coastline of the island without going snorkeling, this is the page where you want to..
People don't always realize the fact that Kauai is a great place to go deep sea fishing. 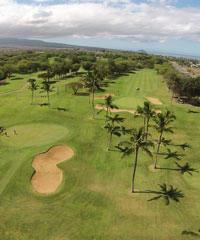 The ocean bottom just off its coast is reminiscent of the coastline..
Golfing on Kauai is an amazing experience. 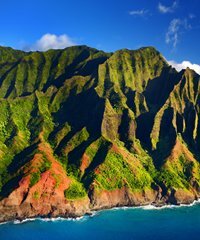 Not only are many of the courses here 'world class' in terms on architecture and design, but the beautiful..
Kauai helicopter tours are arguably among the best helicopter rides of any in Hawaii. 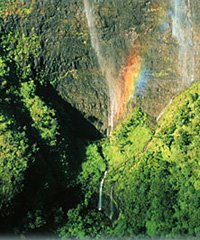 It was no accident that Kauai was the first island to be viewed by..
Kauai is famous for its Hiking trails and they are abundant on the island. There is a Kauai hike for everyone. Some hikes are less than a mile long and..
Kauai has a wonderful selection of horseback riding tours ranging from mountain to beach rides. 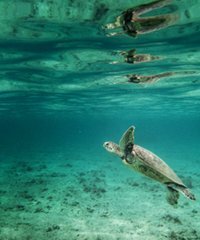 Use our chat, videos, and maps to find the best of Hawaii's..
Kayaking on Kauai is perhaps the single most unique category of activities found on all the islands of Hawaii. 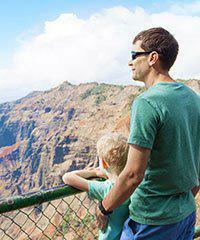 Kauai is the only island that actually has..
On Kauai, even the kids can have fun on tours and activities. Here's a selection of tours and activities specially chosen for kids. 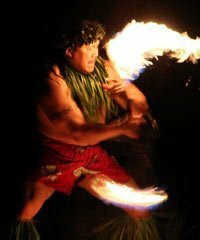 Kids will love these..
Kauai luaus are essentially a giant feast which includes Hawaiian entertainment such as the hula dancing and a considerable amount of socialization in.. The Napali Coast features many of the Kauai tours and Na Pali Coast tours which include eco tours, Na Pali Coast hikes, a variety of cruises, and kayaking..
Niihau is the smallest island of the seven major islands in the Hawaiian chain is located 18 miles off the coast of Kauai and stretches to 23 miles long..
Are you staying on the island of Kauai but would like to visit Pearl Harbor? 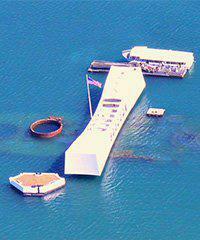 Tom Barefoot's Tours can make it happen with our one day tours to Pearl Harbor..
Reserve your Rental Car Packages on Kauai. 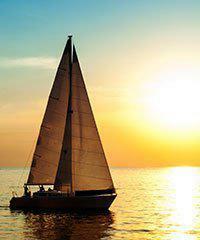 Kauai sailing, with its sailing boats offering snorkeling trips, snuba adventures, snorkeling from shore, family snorkeling activities and various other..
Get beneath the water at one of the most beautiful dive locations in the world. On a Kauai diving tour you'll see crystal clear water and very interesting..
Kauai's coastline is both varied and beautiful ranging from the more gentle inlets and coves of the Poipu and South Shore region to the dramatic, isolated..
A Kauai sunset sail or Kauai sunset cruise is a good call for any evening of your vacation but perhaps the very best time would be your last evening on..
Kauai is a great place for surfing in general but for surf lessons in particular. 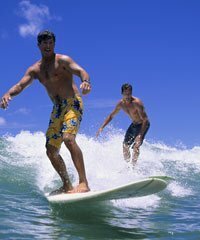 The surf on Kauai is usually very consistent and there are a number of.. So what is a zipline tour anyway? 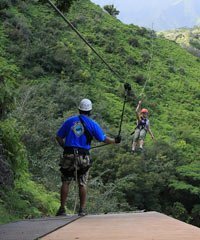 Zipline tours are a fairly recent activity to appear on Kauai, but Kauai zip-line tours are certainly one of the most.. 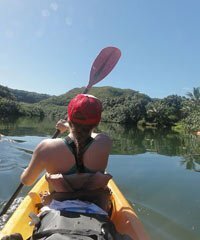 Whether you're interested in river kayaking, ocean kayaking, kayaking tours, kayak eco-tours, Na Pali Coast kayaking tours, kayaking Kauai through its..
Having a wedding in an exotic far away location is a dream of many. Planning a wedding in an exotic far away location is a different story. Keep your wedding.. 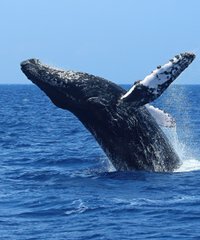 The months of December through May are a wonderful time to visit Kauai because the whales are here. These magnificent creatures spend their Winters in..
Zipline tours are a fairly recent addition to the list of Kauai's spectacular activities. Kauai zipline tours are also among the most popular. Some zipline.. This video segment is going to do with the island of Kauai. The activities that exist there, but primarily the activities that exist as they relate to the specific geography that we have on the island. All of the different islands of Kauai will all have similar types of Activities that you will be able to get a Luau on any them, you'll be able to take a Helicopter or Air Tour, you'll be able to go Scuba Diving and taking a Kayak, ATV Tour. These things are going to happen universally, Zip Lines on all the different islands but some islands, just because of their specific nature as they were formed make particular Activities that you could participate more advantageous. That's kind of what I would like to focus on the island of Kauai. These are some tours that I think would be really good to do if I'm on Kauai because you cannot find anything better on any of the other islands in terms of these categories of Activities. Of the major islands, Kauai is really the one of the largest and the first island to be formed. 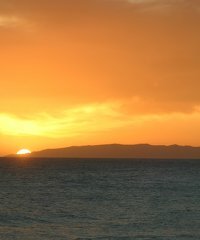 In conjunction with its companion island which is over here, the island of Ni'ihau. The island of Kauai is the oldest, it was formed from a hotspot and the crack in the earth that allowed lava to flow in and it created different islands Oahu, Maui, and The Big Island and so on. It has been extinct now for five million years. The forces of nature which are tremendous in Kauai have carved and shaped it into some beautiful conditions. I guess that should be mentioned at this point that this island, in particular, is the furthest up north of the big islands of the Hawaiian chain and it's the first place that you actually get any kind of real weather, any kind of wave conditions and rain is going to be in Kauai. There's nothing to buffer it, there's no landmass anywhere near from 2000 miles that's going to separate or protect it from the natural elements. It is continuously being buffered by the elements. In the last five million years what that has meant, it has been carved and etched into this incredible sculpture that is just amazing to behold. Essentially but it looks like from the very top here, we've got Mount Waialeale. Generally speaking, this is the wettest spot on earth. Usually around 460 inches a year, but it goes up and down it changes hands with other places in terms of being the wettest, I think in the last decade or so it's actually that award has gone to a place in India. A couple of times it has been Puu Kukui on the island of Maui. It's definitely extremely wet and one of wettest places in the globe. From here, you've got a peak that comes up and then you've got valleys that kind of go down like ridges to the sea. They are often very shaped and sculpted and has narrow passageways on top that allows a person to walk certain distance but not very far. There's also a lot of pinnacles, just areas that have been eroded away and you've got a spire that you will see. This is typical throughout the north shore of Kauai. 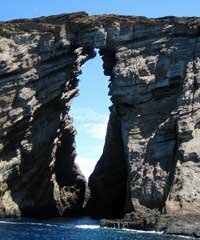 This one area that's on the north coast here which is very famous and very beautiful. 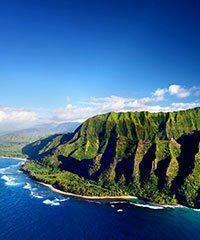 It is one of the beautiful and most spectacular wonders of the world and that is called the Na Pali Coast. The Na Pali Coast is inaccessible by any other way but by Air or sea, or actually Hiking in through there. There's a roadway that happens on the island that ends here. You would land in Lihue, you could go this far and you can't go any farther. There's no way to get a road in there, or you could go this way and get this far on this side you've got 11 miles stretch that is not going to able to be entered in any other way but by Air, sea or by Hiking. This is an absolutely spectacular place and a place that we've sent many people to go by sea in one way or another. Let's don't get ahead of ourselves here, the other area that is well-known in Kauai that was caused by all this erosion and so on is the area in here which is known as the Waimea Canyon. This is also called the Grand Canyon of Kauai and it's very similar to the Grand Canyon that you'll find in Arizona, a lot of the layer that you will see and huge depth of the canyon. It's absolutely gorgeous and it's a place that you'll probably want to see at some point in time if you're going to Kauai. 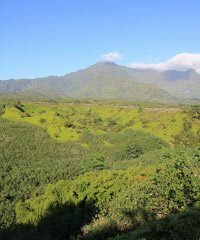 The other aspect of what nature has done with regard to chiseling and making Kauai what it is today is the fact that you've got these giant mountains here, and then this ridgeline here. This side of it all of the sudden, everything slopes down to this very flat plain area. It's called an alluvial plain, it's where all of the tremendous amounts of water that has carved a way that tops of these mountains have delivered that silk and soil down to this area. It's all come down rushing down to the bottom and then kind of smooths itself out as it goes all the way to the coastline in this alluvial plain. Essentially what you've got is a slightly a flat area, it has a slight tilt to it and you've got this tremendous amount of water that's rushing off on these mountains and then all of the sudden finding itself on this plain area, and it creates rivers. These rivers wind their way very slowly and a serpentine fashioned and finally end up in the ocean. One of the famous of these rivers is the Wailua River which ends up in the town of Waialua. Typically, these are quite wide rivers and on either side, they're just completely jungle. As soon as you get on the river and kind of work your way back a little bit, you can't see the coastline anymore. All you could see is the river and the riverbanks, you honestly feel like you're on some place really foreign. You may as will be in Bolivia or somewhere, or in the Amazon. It is somewhere in the incredible rainforest that you might see in South America. ;In any event, it's very gorgeous and the importance of these rivers as it regards to activities that we can provide for people going to Kauai. These are truly the only navigable rivers with a slight exception of a couple smaller ones in Oahu. The only navigable rivers that we have in Hawaii. Keeping that in mind, you want to look for if you have a chance to go various islands and there are certain things that you want to do on one or another. There are some that you'll really want to concentrate on doing when you come to Kauai. The first is the Helicopter or Air Tours because it is just the most magnificent place that you'll probably ever see from a helicopter. 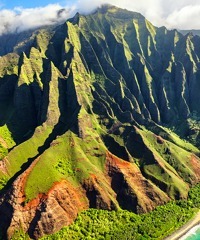 Just gorgeous giant valleys and the ravines and cliffs and the Na Pali Coast, rivers, and just green lush jungle areas. You want to take a Helicopter when you get to Kauai. That would be a great place. They almost all leave from Lihue and them almost all do kind of a circle. You can see the island is a little bit like a circle, and it's perfect for the hour flights that we have. We do have smaller ones and others that are a little bit longer, but really for an hour flight. It's just perfect You can get from Lihue, you can go all away around the island and then land back at Lihue. The main thing is you're going to go up and you're able to see the Na Pali Coastline. Helicopters, that's one thing that you want to keep in mind. We're going to do other videos that you'll be able to see that deal specifically with Helicopters in Kauai and we can go on to those in detail, but just remember that helicopters are a good place to do you helicopter flight or Air Tour. The other thing that is important to remember about the activities as they relate the geography of Kauai is that, you might want to do something on the water that takes you to the Na Pali Coastline. That might be a Snorkel trip, it might be a Dinner Cruise, a Sunset Sail, a Whale Watch that gets up there. In some way, this is a fantastic thing to see, something you don't want to miss if you have to, and you'll not find anything like this coastline anywhere else not only in Hawaii, but anywhere else on the planet. 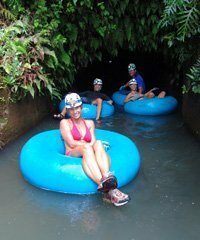 The third thing that is specific about Kauai that you might consider doing is because it has these navigable rivers. You may want to take an opportunity to do one of the Kayak Tours that we have that will take you from the ocean, the mouth of the rivers, head you back up into this beautiful jungles. Usually a couple of miles or so on, and quite often we have in conjunction with the actual Kayaking. You're going to get out and kind of be in a middle of a rainforest in the Pacific, do a little Hiking and maybe up to a waterfall. That's the geography as it relates specifically the some of the Activities that we have as mentioned. We have other activities, these are not the only ones but if you're wanting to dovetail your experience with activities with the specific geography of Kauai. These are the activities you want to concentrate on. I just viewed this video made just moments ago and realized that at one point, I have mistakenly mentioned or said that the island of Kauai was the largest of the islands. I have meant to it that point say that it's the oldest. I just want to correct that rather than going back and doing the entire video over for that one error. My apologies.